To share a bit more about this long trip but worth to made it. You can now enjoy the video clip made during this event. Was a real pleasure to meet so numerous openSUSE users. how much it’s important for our community and project. 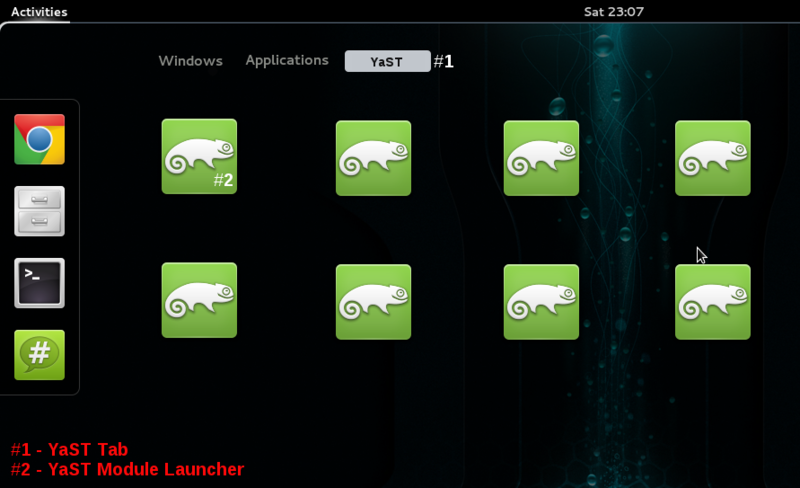 Booths makes openSUSE alive in all open source events! and it’s a great experience to live, for any of us. 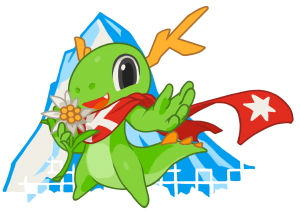 I strongly believe that openSUSE has be to visible on events like KDE Akademy, Scale, Fosdem, Guadec. Fosdem : the biggest open source event in Europe (perhaps in the world) with more than 5000 hackers visiting. 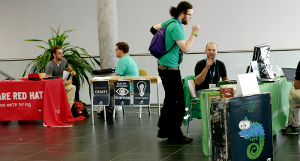 KDE Akademy : This year with around 150 active contributors coming from all over the world. The obviousness is: if openSUSE has no booth there, you just see Ubuntu and Redhat, and let’s add Debian, Mageia etc for Fosdem or Scale. You all know how much I like our Geeko community. 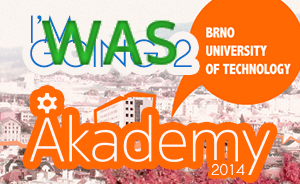 And when Akademy staff proposed us to run a booth, I said yes, great I will be there! After comparing ways to go to Brno, the Geeko’s car was the less expensive, and allow me to pick the demo touch screen at SUSE Headquarter. So I took a full week off and drive 2000 kilometers to make it happens.